La Gomera lies to the west of Tenerife and is one of seven islands that make up the Canary Islands archipelago off the northwest coast of Africa in the Atlantic. The island is accessible by ferry from Tenerife. The park can be reached by road from the island’s major towns and villages. The 1812 Constitution abolished the estates of the nobility and transferred ownership and administration of the forests to the municipal governments. The forests were declared public property and appeared as such in the last Register of Public Property listing dated 1879. The park encompasses San Sebastian, Hermigua, Agulo, Vallehermoso, Valle Gran Rey and Alajero mountains. It consists of an eroded plateau and gently sloping central terrain whose steep sloping escarpments comprise uneven steps that extend as far as the park boundaries. La Gomera is the only island in the Canaries that has not experienced an eruption in recent times. Thus, ash and lava fields have been eroded away leaving mature soils formed from horizontal basalts cut by a series of ravines. The local landscape is further characterized by volcanic dikes and domes, examples of the latter being Agando, Ojila, La Zarcilla and Las Lajas in the south-eastern sector of the park. The park harbors one of the largest continuous areas of laurisilva (laurel) forest, a habitat that has almost disappeared from southern Europe and North Africa. 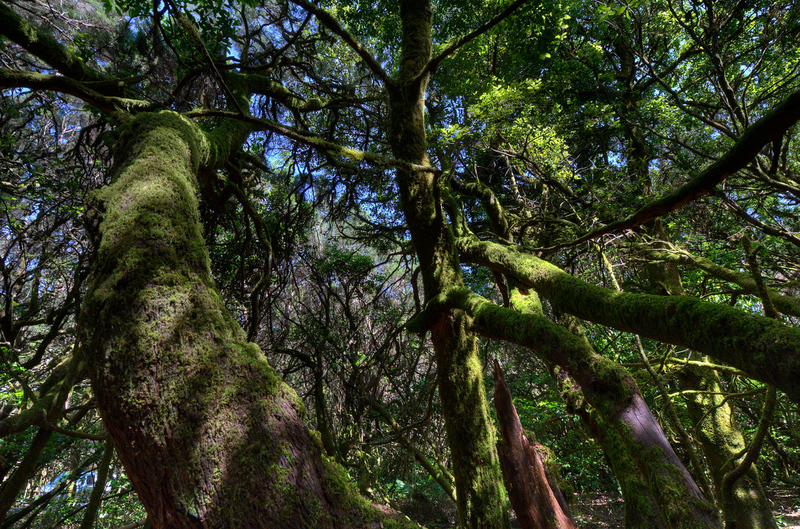 Almost half of the remaining forest in the Canary Islands is included in the park. In spite of being biologically diverse, a large proportion of the flora (25%) and fauna (50%) is endemic, and many species are considered to be nationally threatened. 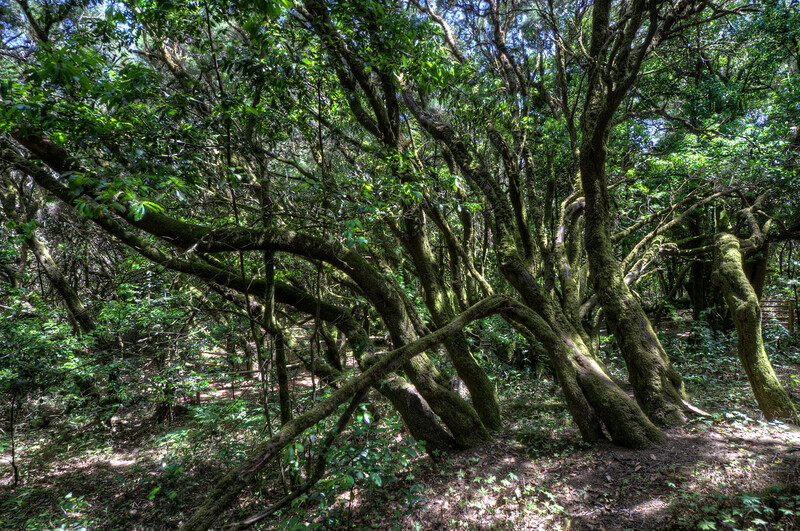 Garajonay National Park sits in the middle of the island of La Gomera, one of the smallest of the Canary Islands. The laurel forest which covers the interior of this island can be extremely haunting, especially if the forest is in the clouds at the time. 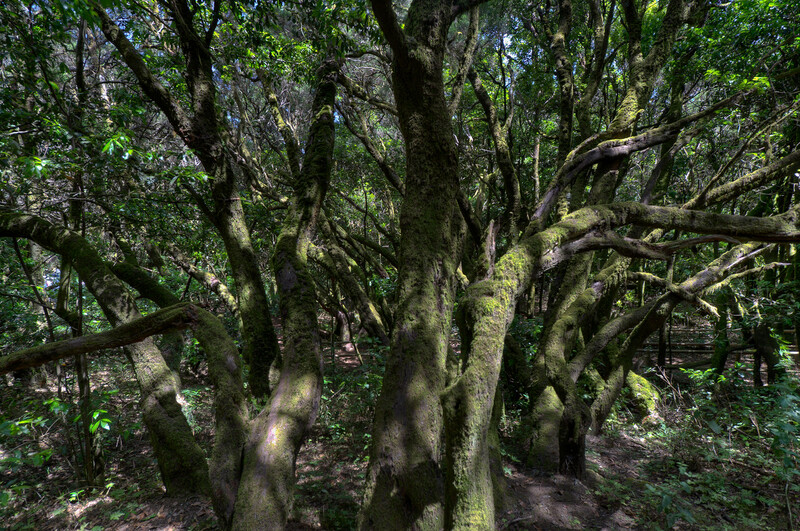 Garajonay National Park is a national park located in La Gomera in Spain’s Canary Islands. This was established as a national park in 1981 but was inscribed into the list of UNESCO World Heritage Sites in 1986. The entire park measures at 40 square kilometers, which covers up to 6 municipalities on the island. The Garajonay National Park is named after Garajonay. This mark as the highest point on the island with up to 1,487 meters in height. Aside from being a UNESCO site, it is also one of the most popular tourist attractions in La Gomera. Aside from the rock formation in Garajonay, there are many notable natural features in the park. One of them is the fact that this park is the best example of Canarian laurisilva. This is a type of humid subtropical rainforest that covers a huge percentage of Southern Europe. Meanwhile, there are plenty of other rock formations on the island. These rock formations were once volcanoes that eroded over time and have resulted in these various rock shapes as they are now seen as. Today, these natural formations make up a huge part of the national park wherein a large network of footpaths has been provided for tourists. With that said, trekking and hiking are two of the most popular activities for the tourists who visit this park. The national park is comprised of one-third thick laurel forest. This is a prehistoric forest that is now considered rare in most parts of southern Europe and Northern Africa. This landscape features rich volcanic soils, springs and streams. The land covered by Garajonay National Park is uninhabited by people. 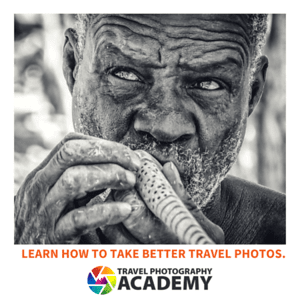 However, the island of La Gomera itself is historically home to the Gaunche people. These people and their cultural heritage are still embedded on the island. The humidity level in Garajonay National Park is relatively high (about 75 to 90%). This humidity has resulted in the formation of a mist over the forest. Meanwhile, the average annual rainfall on the park (and the island in general) is at 24-31 inches. There is a rich biological diversity in the park. However, it is also noted for its isolation. The isolation means that there are plenty of endemic species on the island (and within the park). 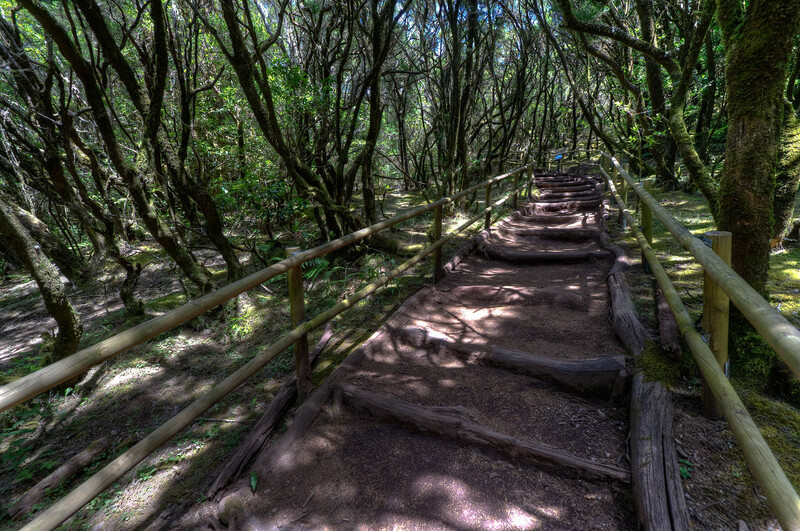 Garajonay National Park is located on the Canary Islands, which sits on the northwest African coast. To get to the national park, you must take a ferry to La Gomera via Tenerife. For international tourists, there are two international airports that serve Tenerife. When deciding when to visit, it is important to know the season beforehand. The park is mostly mild in climate throughout the year. However, it can be misty and there is a high chance of rainfall for the most of the year. Therefore, you need to pack warm and waterproof clothes to stay comfortable.